Immune cells in action. Illustration. Diamyd Medical’s B-share is traded on Nasdaq First North under the ticker DMYD B. Figures in parentheses relate to the corresponding period previous financial year. Net result: MSEK -8.5 (-10,8). Liquid assets and short-term investments as of November 30: MSEK 31.8 (73.7). After the reporting period MSEK 58.4 were raised through exercise of warrants. I am pleased to report significant clinical, strategic and financial progress for this quarter. In November we reported that 11 out of 12 patients treated with intralymphatic Diamyd®in the DIAGNODE-1 trial are in partial remission about 18 months after diagnosis of type 1 diabetes. This is notable as partial remission, defined as the patient having a well-controlled blood sugar level and a low requirement for external insulin, is seen in patients that have had the disease for more than a year. The fact that retained endogenous insulin production, lower blood sugar levels AND lower insulin requirements can be seen, is very attractive. Importantly, and as highlighted during several recent partnering meetings, this efficacy profile clearly satisfies the commercial requirements set by larger pharmaceutical companies. From a competitive standpoint it should be mentioned that very few candidate compounds that have been evaluated in clinical trials have achieved similar indications of effect, while our antigen specific Diamyd®therapeutic points at both superior safety profile and patient convenience (three injections only). We are enormously proud that Professor Mark Atkinson, one of the world's most respected type 1 diabetes researchers and key opinion leaders agreed to join our Board of Directors in November. Mark is actively contributing with his expertise and joined us for several important meetings with potential partners recently during the JP Morgan Healthcare week in San Francisco. We are confident in the Diamyd®program, and Mark is adept at highlighting the unique strengths of the program while also providing increased international visibility to our company. Our cash position was strengthened through the redemption of warrants in November. The raised SEK 58 million means that the ongoing DIAGNODE-2 trial is fully financed until results in the third quarter of 2020. Our top strategic priority during this financial year is to prepare for a marketing application for Diamyd®. These regulatory activities are performed in parallel with the ongoing clinical program, with the aim to file by the end of 2020 together with one or a few strategic partners, in order to maximize the potential in the program as well as the shareholder value. With several upcoming milestones including full recruitment of DIAGNODE-2, results from booster injections in DIAGNODE-1 and our GABA program with the ongoing ReGenerate-1 trial in Uppsala, we have an exciting period ahead. Diamyd® and Remygen® are drugs in clinical development that focus on the underlying disease mechanisms of diabetes; the dysfunction and loss of insulin-producing beta cells in the pancreas. Clinical data indicate the potential of the diabetes vaccine Diamyd®to halt or stop the autoimmune destruction of insulin-producing beta cells. The effect is achieved by antigen-specific reprogramming of immune cells by administration of three low doses of Diamyd®in superficial lymph nodes. By maintaining the endogenous insulin production, Diamyd®has the potential to make a significant difference in the daily life of patients as well significantly reduce the complications of type 1 diabetes. Intralymphatic treatment with Diamyd®is now being investigated in a clinical phase IIb trial (DIAGNODE-2), with the aim of confirming the previously demonstrated clinical effect from a pilot trial in type 1 diabetes patients (DIAGNODE-1). Remygen® is an oral regenerative and immunomodulatory therapy for the treatment of autoimmune diabetes and type 2 diabetes. By stimulating the growth of insulin-producing cells, Remygen®has the potential to reverse the disease progression in autoimmune diabetes and type 2 diabetes. Remygen®is now being investigated in clinical phase I/II trial (ReGenerate-1), where clinical efficacy is evaluated with the aim of optimizing treatment ahead of registration-based trials. An analysis ahead of the conference 1st Antigen Specific Immune Tolerance Europe in London December 2018 showed that 92% (11 out of 12) of the DIAGNODE-1 trial participants were in Partial Remission at 15 months from start of the trial. This can be compared to a large international study in 3 657 children and adolescents with type 1 diabetes, where approximately 20% of the patients were in partial remission 12 to 18 months after diagnosis. Partial remission in type 1 diabetes is characterized by low external insulin requirement and near to normal long-term blood sugar levels. One of the world’s most prominent diabetes experts, Professor Mark Atkinson, American Diabetes Association Eminent Scholar for Diabetes Research; Director, UF Diabetes Institute; University of Florida, Gainesville, FL, USA, was elected as member Diamyd Medical’s Board of Director’s at the Annual General Meeting of Shareholders on November 15, 2018. Re-elected were; for Chairman: Erik Nerpin, and for Directors: Anders Essen-Möller, Torbjörn Bäckström, and Maria-Teresa Essen-Möller. Results of intralymphatic treatment with the diabetes vaccine Diamyd®indicating the induction of a long-term immune response that supports the positive clinical results shown in the DIAGNODE-1 trial were presented at the international conference Immunology of Diabetes Society Congress 2018 in London. Diamyd Medical announced that the Company's goal is to submit a marketing application for the diabetes vaccine Diamyd® in late 2020. When all patients had been followed for 15 months in the diabetes trial DIAGNODE-1, where the diabetes vaccine Diamyd®is given directly into the lymph node, a clearly positive and clinically relevant effect was seen in improving the clinical course and maintaining the endogenous insulin production in newly diagnosed type 1 diabetes. Three quarters, 80 out of 106 patients has been included in the European Phase II trial DIAGNODE-2, where the diabetes vaccine Diamyd®is administered directly into the lymph node. During 1 to 30 November 2018, holders of warrants of series TO 1 B and TO 2 A of Diamyd Medical AB were able to subscribe for shares through warrants. A total of 426 037 A shares and 12 409 855 B shares were subscribed for, which means a subscription rate of 95.6 percent. Diamyd Medical raised approximately SEK 58.4 million before issue costs. After registration with the Swedish Companies Registration Office of the new shares, the number of shares in Diamyd Medical amounts to a total of 69 159 726, of which 2 556 223 A shares and 66 613 573 B shares. Type 1 diabetes is a devastating disease which requires daily treatment with insulin to sustain life. The importance of finding a drug that improves the prospects for diabetic patients is of utmost importance. 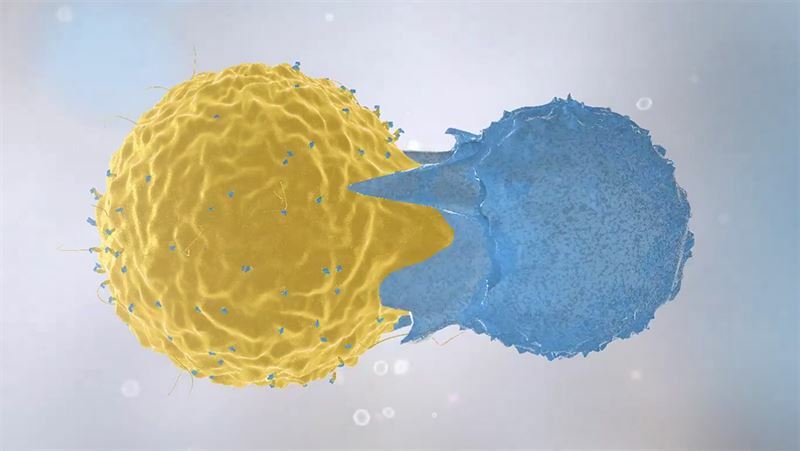 The effect of intralymphatic administration of Diamyd®, an antigen-specific immunotherapy aimed at stopping the immune system's attack on insulin-producing beta cells in autoimmune diabetes, is evaluated in the phase IIb trial DIAGNODE-2. Remygen®, which aims to stimulate the growth of beta cells in patients with diabetes, is now evaluated in patients in a Phase I/II trial. In addition to these, Diamyd®is evaluated in various combinations and modes of administration in ongoing investigator-initiated trials. DIAGNODE-2 is a follow-up double-blind randomized clinical trial where Diamyd®is administered directly into lymph nodes in combination with treatment with vitamin D. The trial encompasses approximately 106 patients from Sweden, the Czech Republic, Spain and the Netherlands, aged 12–24 years that have recently been diagnosed with type 1 diabetes and will continue for a total of 15 months. The trial is a follow up of DIAGNODE-1. The aim of the trial is to evaluate the patients’ remaining insulin producing capacity. Coordinating Investigator is Professor Johnny Ludvigsson at Linköping University. Diamyd Medical is the Sponsor of the trial. An open label clinical trial, where Diamyd®is administered directly into lymph nodes in combination with treatment with vitamin D. The trial comprises twelve patients between the ages of 12 and 30 newly diagnosed with type 1 diabetes and will continue for a total of 30 months. The trial was fully recruited in June 2017. The aim of the trial is to evaluate the safety of the combination treatment and the effect on the immune system and the patients’ insulin producing capacity. The trial is led by Professor Johnny Ludvigsson at Linköping University, Sweden. ReGenerate-1 is an open-label, investigator-initiated clinical trial with Remygen®. The trial includes patients aged 18-50 who have had type 1 diabetes for more than five years with low to non-existing insulin production. The primary aim of the trial is to in a smaller dose escalation section evaluate the safety of Remygen®. The main trial also evaluates whether the insulin-producing cells can be regenerated using Remygen®. The trial is led by Professor Per-Ola Carlsson at Uppsala University. A placebo-controlled clinical trial, where Diamyd®is given subcutaneously and being tested in combination with GABA. In accordance with agreement with Jansen Research & Development and JDRF the trial has expanded to comprise 95 patients between the ages of 4 and 18 recently diagnosed with type 1 diabetes. The trial will continue for a total of 12 months. The aim of the combination treatment is to preserve the body’s residual capacity to produce insulin. The trial is led by Professor Kenneth McCormick at the University of Alabama at Birmingham, USA. An open label clinical trial, where Diamyd®is given subcutaneously and being tested in combination with etanercept and vitamin D. The trial comprises 20 patients between the ages of 8 and 18 who have been newly diagnosed with type 1 diabetes and will continue for a total of 30 months. The aim of the trial is to evaluate the safety of the combination treatment and the effect on the immune system and the patients’ insulin producing capacity. The trial is led by Professor Johnny Ludvigsson at Linköping University, Sweden. A placebo-controlled clinical trial, where Diamyd®is given subcutaneously and being tested in combination with vitamin D in children at high risk of developing type 1 diabetes, meaning that they have been found to have an ongoing autoimmune process but do not yet have any clinical symptoms of diabetes. The trial includes 26 children. The aim of the trial is to evaluate whether Diamyd®can delay or prevent the participants from presenting with type 1 diabetes. The trial is led by Dr. Helena Elding Larsson at Lund University, Sweden. Diamyd Medical develops the diabetes vaccine Diamyd®, for antigen-specific immunotherapy based on the exclusively licensed GAD-molecule. Diamyd® has demonstrated good safety in studies with more than 1,000 patients as well as effect in some pre-specified subgroups. Besides the Company’s own European Phase-II trial DIAGNODE-2, where the diabetes vaccine is administered directly into the lymph node, there are four investigator initiated clinical trials ongoing with Diamyd®. Diamyd Medical also develops Remygen®, an oral GABA-based candidate drug which in June 2018 was approved by the Swedish Medical Agency for clinical trial. An investigator-initiated placebo-controlled trial with GABA and Diamyd® in patients recently diagnosed with type 1 diabetes is ongoing at the University of Alabama at Birmingham. Exclusive licenses for GABA and positive allosteric modulators of GABA receptors for the treatment of diabetes and inflammatory diseases constitutes alongside with the diabetes vaccine Diamyd® and Remygen® key assets. Diamyd Medical is also one of the major shareholders in the stem cell company NextCell Pharma AB and has holdings in the medtech company Companion Medical, Inc., San Diego, USA and in the gene therapy company Periphagen, Inc., Pittsburgh, USA. FNCA Sweden AB is the Company’s Certified Adviser. E-mail: info@fnca.se Tel: 08-528 003 99. This information is information that Diamyd Medical AB is obliged to make public pursuant to the EU Market Abuse Regulation and the Securities Markets Act. The information was submitted for publication, through the agency of the contact person set out above, at 08.15 CET on January 23, 2019.